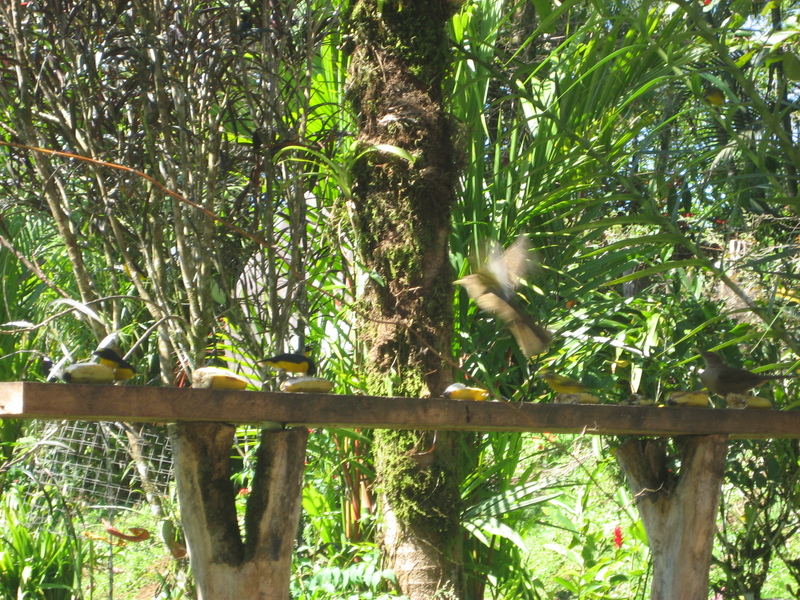 Off to a well known Bed and Breakfast – Chalet Nicolas – here in Arenal for some bird watching in the morning. 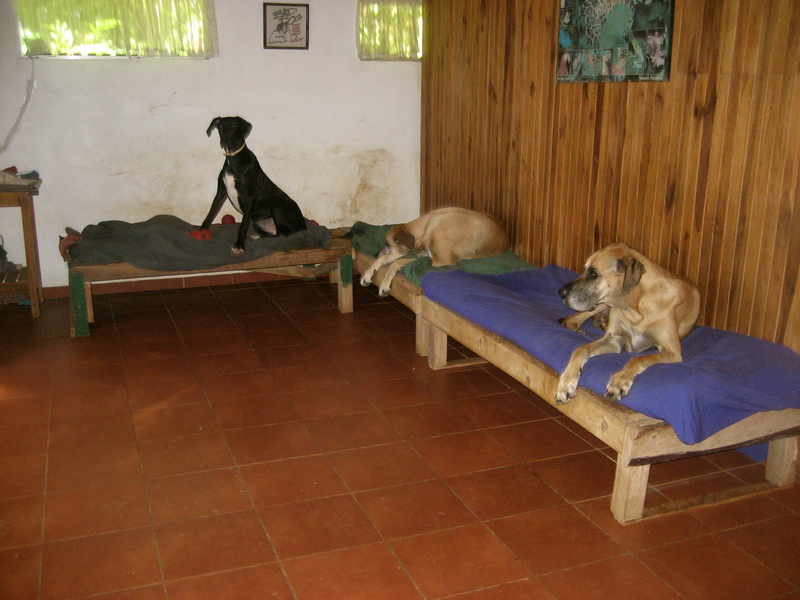 The owners have five massive Great Danes! 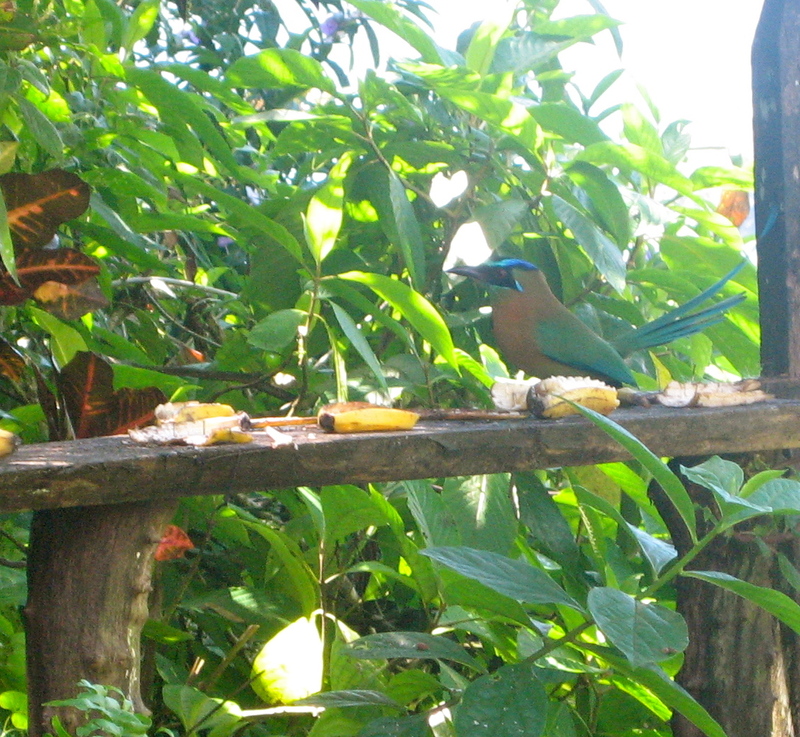 We sat on the front porch of their B&B and lured the colourful birds out from the trees with ripe bananas! All the birds here love bananas. 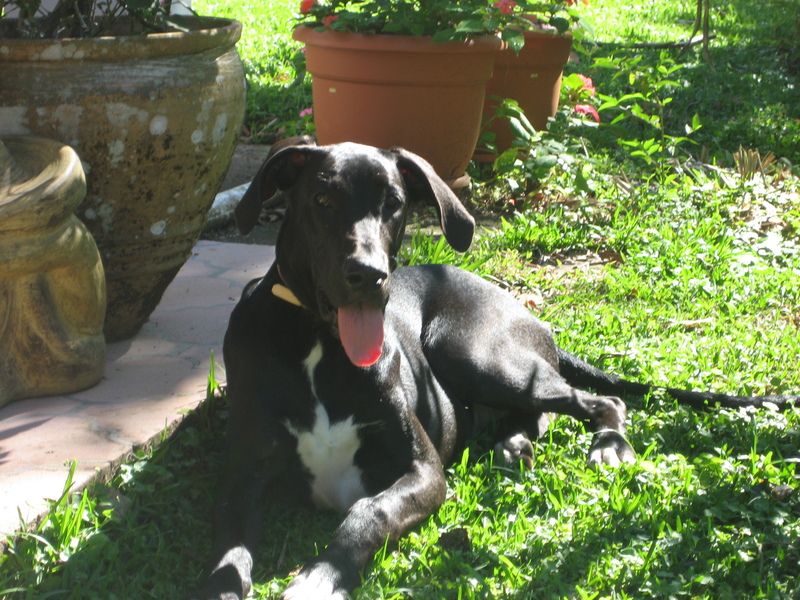 We saw woodpeckers, robins, grackles, mot mots, …. 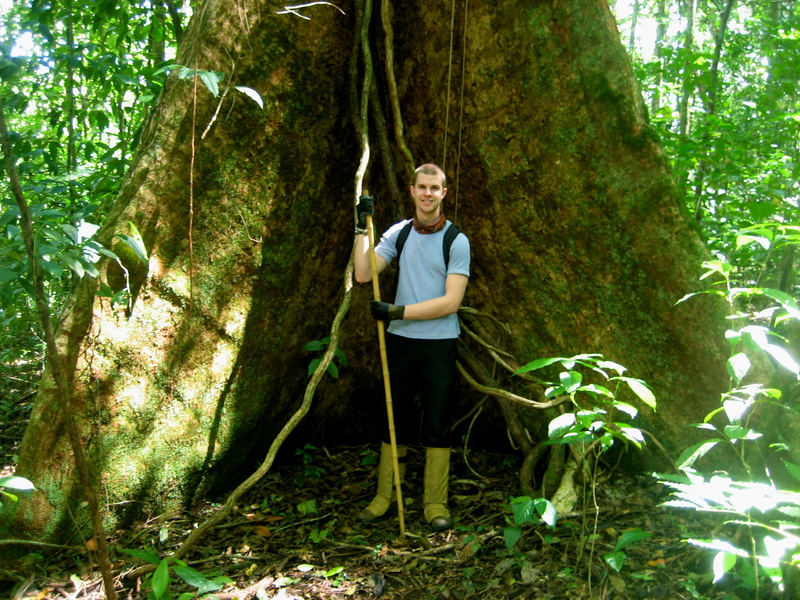 After a full morning of coffee, dogs, and bird watching, we made our way into some pristine jungle. 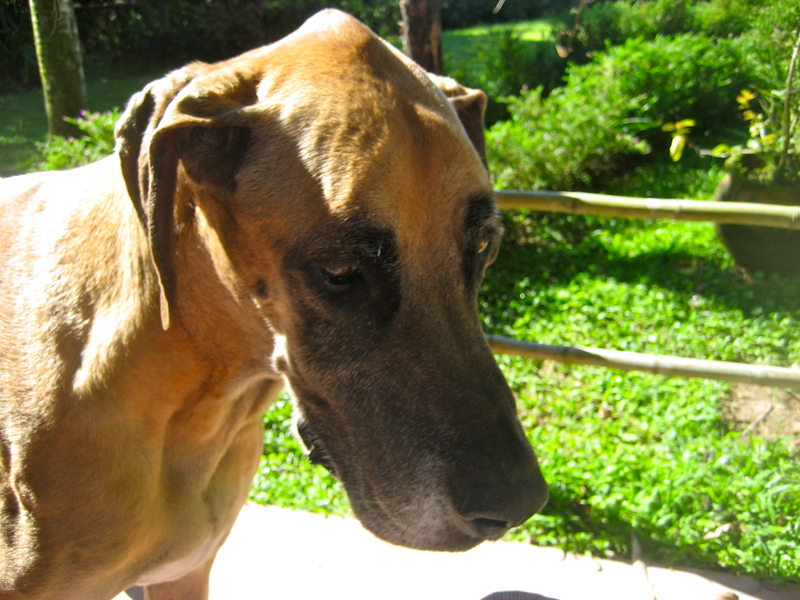 Three of the Great Dane’s came with us as we traversed the wild jungle path, protected with snake guards and bamboo walking sticks. 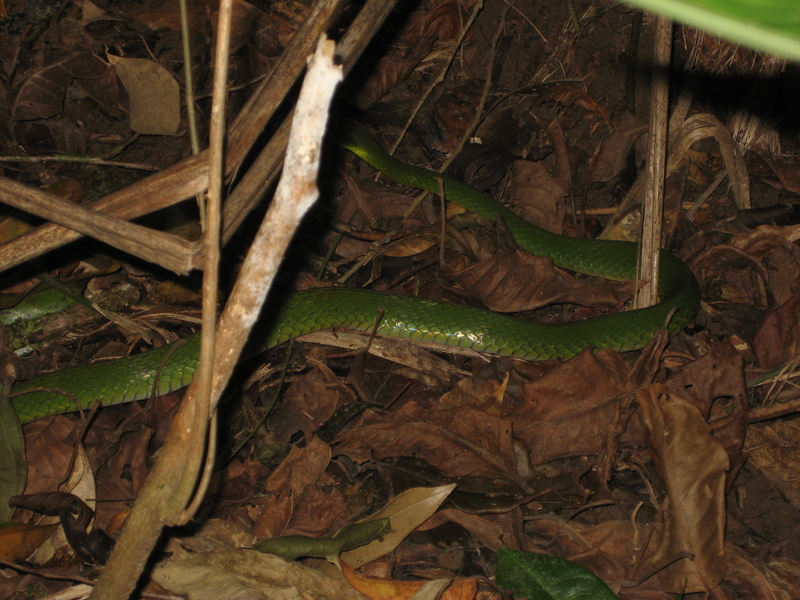 We crossed paths with a green parrot snake about a meter long, which was kind of unusual for that time of day. We found a spring where I collected some water to make tea and embraced the diverse range of tree’s and blossoming flowers.